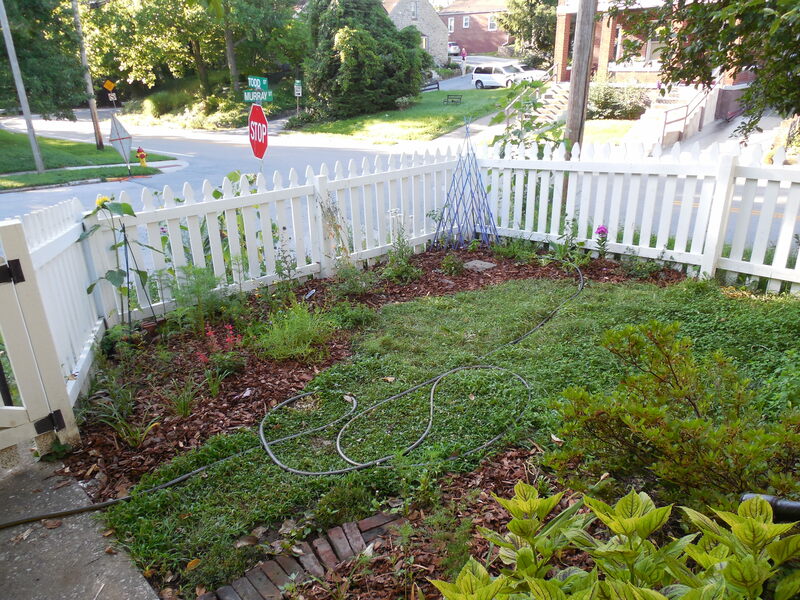 Here is the front flowerbed, newly created on July 15, 2013, and filled with perennials from the sale at Wilson Nursery. I couldn’t just leave that whole front lawn in . . . lawn.